Ousa is a little spitfire and the apple of her owner’s eye. Technically, Ousa belongs to Robert and Lorna Barnes, but it is their daughter Amie, who does all the hard work and training with her. Amie has very high aspirations in the sport of agility, and she and Ousa are quite an awesome team. They are lots of fun to watch, and you can tell that the love Amie has for this little dog is mutual. 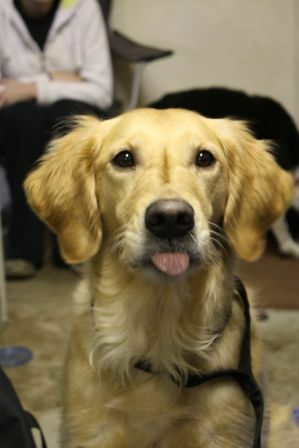 So if you are out and about at an agility trial, watch for Amie and Ousa! 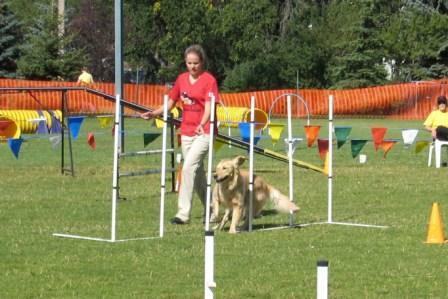 **NEWS FLASH** Ousa and Amie have qualified for the Canadian Agility Nationals 2010. This fabulous team finished 10th overall and came home with beautiful big ribbon. In standard on the second day, they had a clean run and were 20 seconds under time. Wow….That’s Border Collie fast! Congratulations Amie on a job well done!! !